Bee Moved is a Brighton based domestic and commercial removals company serving the Brighton and Hove area and nationwide. We have been operating since 2001 and have a strong customer service ethos which permeates into every job we undertake. 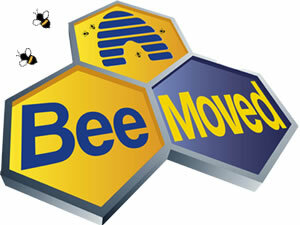 Bee Moved understands that moving can be a stressful time to go through and that each client has specific requirements. As such we listen to what is expected of us and plan your move meticulously. We can therefore be certain that when it comes to the day of your move, everything will run like clockwork. For your storage needs, Bee Moved owns a dedicated storage depot meaning we can offer affordable rates other removals companies will find hard to match. We also offer a packing service if needed with all necessary packing materials included in the price. Whatever your moving requirements are, please visit us for a free no obligation quote.